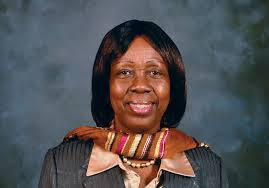 The Commissioner, Rural Economy and Agriculture, African Union Commission, (AUC), Tumusiime Rhoda Peace, has said earth observation applications at continental, regional and national levels are critical for African integration, reports NaijaAgroNet. Speaking recently at the 1st Monitoring for Environment and Security Forum which examined how earth observation data through Monitoring for Environment for Security in Africa (MESA) Project supports policy, planning and decision making at the national, regional and continental level in Africa. With the theme “Streamlining MESA products and services towards the decision-making cycle in support of sustainable environmental management” the forum, NaijaAgroNet gathered, was organised by the African Union Commission (AUC) in association with Inter-Governmental Authority on Development (IGAD) and the Government of Kenya through the Ministry of Environment and Natural Resources with the support of the European Union. NaijaAgroNet also learnt that the Kenyan Cabinet Secretary for Environment and Natural Resources, Judi Wakhungu, said, cases of poaching and deforestation have reduced by 50 per cent this year compared to 2013. “Before this, my office and team members had to travel physically to protected area which took several days and incurred huge costs. Thanks to MESA projects, Kenya Wildlife Service can now get snapshots of satellite images of the protected areas on a single page,” said Wakhungu. MESA has brought together 250 international delegates comprising decision and policy makers, planners, earth observation data users and experts from across the continent, NaijaAgroNet.